Revealing the author's pseudonym cost this solicitor Â£1,000. Chris Gossage, a partner at Russells Solicitors, inadvertently revealed J.K. Rowling's secret identity last year, when he told his wife's best friend that Rowling was moonlighting as crime novelist Robert Galbraith. The best friend Tweeted, as best friends sometimes do, and Russells had to issue an unreserved apology to Rowling. That wasn't the end of it, and Gossage has now paid a Â£1,000 fine for the confidentiality breach. Russells has also paid an undisclosed sum of damages to Rowling. 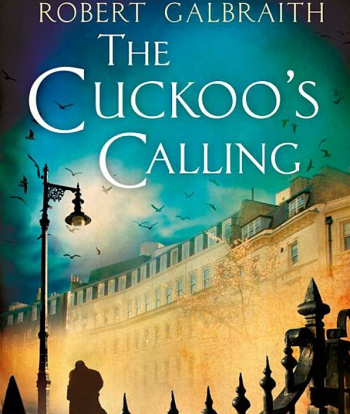 The damages Rowling received from Russells, and three year's worth of royalties from Galbraith's The Cuckoo's Calling, will be given to The Soldiers' Charity. In addition to the fine, Gossage has been censured by the Solicitors Regulation Authority. The Â£1,000 fine is considered a forfeit to the Crown, and is given to the state after collection. Rowling has said she'll keep writing more of the Galbraith crime series, "although [Robert] will probably continue to turn down personal appearances."